Dr Paul Jepson is Senior Research Fellow in Conservation Practice at the Environmental Change Institute, University of Oxford. 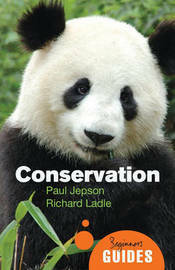 He has been a consultant for a wide range of organisations including the WWF and the GEF. Dr Richard J. Ladle is a Senior Research Associate of the School of Geography and the Environment, University of Oxford. He has had popular science articles published in the national press including the Guardian, Independent and the Sunday Telegraph.